The Sister Street Fighter Collection is a decent collection of the “spin-off” series and excels thanks to the performance, mostly physical, from Etsubo Shihomi, although the storylines are generally interchangeable. Synopsis from Arrow: After the massive success of The Street Fighter, the Toei Company decided to build a new karate series around a female lead, and cast a young actress who had appeared in a cameo role alongside her mentor Sonny Chiba. 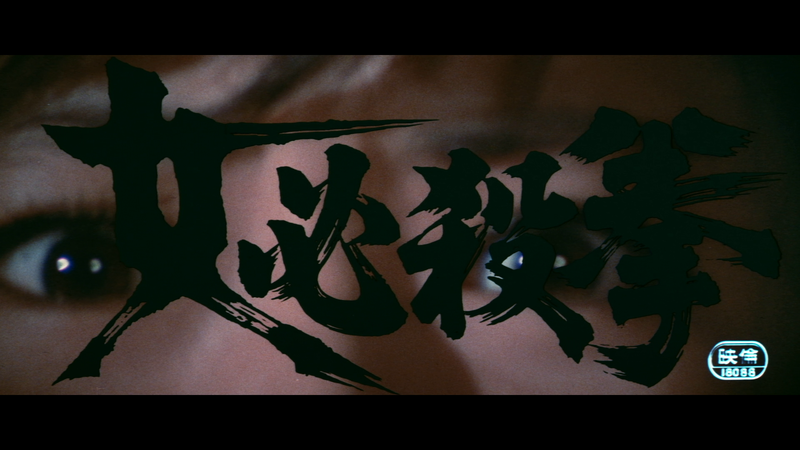 Still a teenager at the time, Etsuko Shihomi exploded onscreen in her first leading role and created a new character type: a tough fighter who was fierce, fearless, good-hearted, and decidedly non-sexualized, a departure from Toei s typical formula. Quick Hit Review: Generally, I did enjoy The Street Fighter movie while the sequel was a big step down and the third fine but not great. With the success of the series, Toei Company launched the spin-off, Sister Street Fighter though that should be in quotes with the star Etsuko Shihomi having previously appeared in both The Street Fighter and The Street Fighter’s Last Revenge as different characters and Sonny Chiba does appear in the first Sister Street Fighter… not playing his iconic Tsurugi character. Clearly Toei was not proactive in setting up their “Street Fighter” Universe. 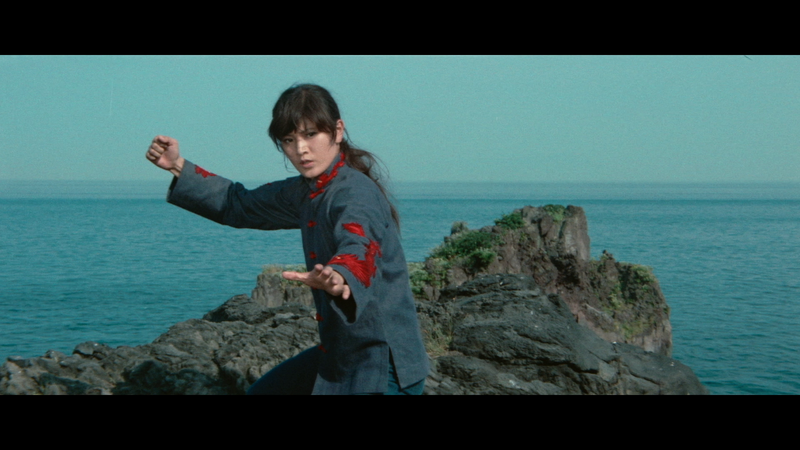 Continuity aside, I liked Sister Street Fighter, not only are the fight scenes fairly well choreographed, the on-screen charisma from Etsuko Shihomi was wonderful and despite not playing Tsurugi, Chiba was unsurprisingly a delight. The follow-up sequels, Sister Street Fighter: Hanging by a Thread and Return of the Sister Street Fighter had their moments though not quite as good and the latter was on the tedious even dull side, perhaps my own fault needing to spread these movies out rather than watching back to back. Then there’s Sister Street Fighter: Fifth Level Fist which is an in-name-only “sequel” having nothing to do with its predecessors. 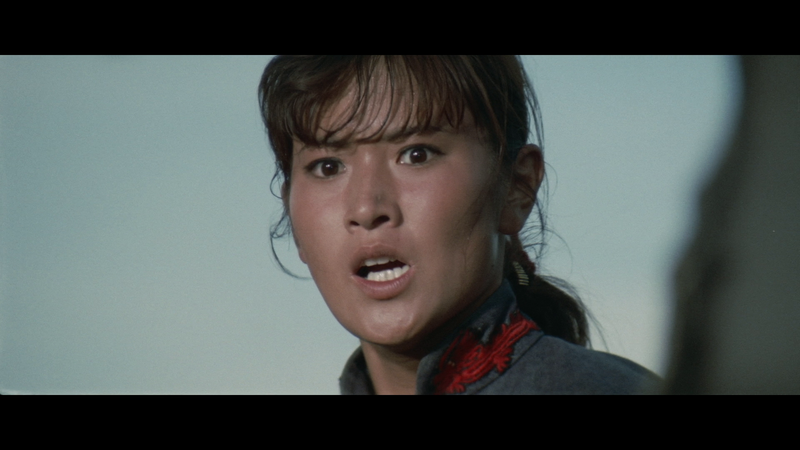 Etsuko Shihomi returns but playing somebody else and the fights are far safer in comparison. It was an entertaining enough film though a far cry from The Street Fighter and Sister Street Fighter. This two-disc set is housed in a clear HD keep case and comes with a matted slip cover. Inside is a nice booklet with essays on the franchise. Along with the Isolated Score Highlights for the first three films and Theatrical Trailers for all four movies and Stills and Poster Galleries, there are new Interviews with Actor Sonny Chiba (10:10), Director Kazuhiko Yamaguchi (10:06) and Screenwriter Masahiro Kakefuda (10:51). Also included is the 81-minute R-rated version of Sister Street Fighter, which was edited for censorship reasons and dubbed in English. The original film elements could not be located so it is a combination of HD and SD sources. There is also German Opening Titles (2:11) for the film as well. All four movies are presented with a 2.35 widescreen aspect ratio and each have been given a 1080p high-definition transfer. 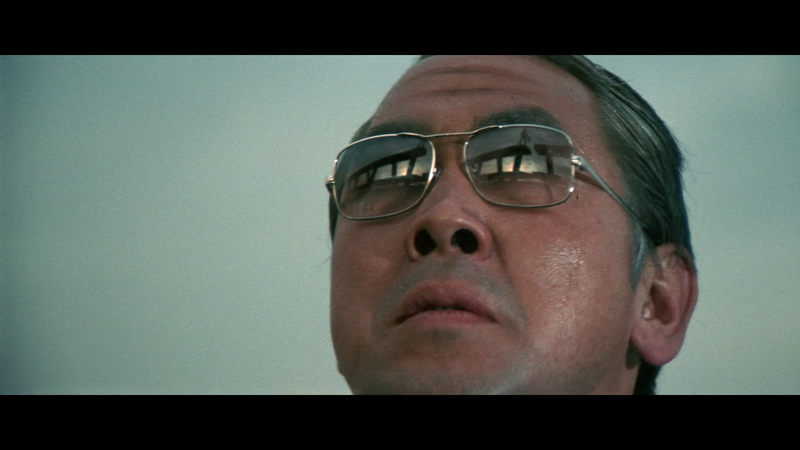 It doesn’t appear Arrow did the restoration work and received the remasters from Toei Company. As such, while none of these films looked amazing, they did each have sharp detail and it does seem like the natural film grain was preserved. I also didn’t notice major instances of scratches though there were some minor specs while colors are pretty much in keeping with the 1970s era. All four movies are equipped with Japanese language PCM 1.0 tracks, the first Sister Street Fighter sounded pretty good for a singular track with clear dialogue and no apparent instances of hissing or pops. Can’t really say the same about the other three, though the second movie certainly sounded the worst of the four where levels were low and it almost sounded like I was watching this on some movie channel. These aren’t terrible audio transfers, just more on the passable side of things. 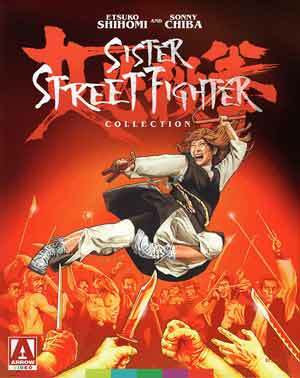 The Sister Street Fighter Collection is a decent collection of the “spin-off” series and excels thanks to the performance, mostly physical, from Etsubo Shihomi, although the storylines are generally interchangeable. This Blu-ray set from Arrow Video comes with good video and okay audio to go along with an okay selection of bonus features.